Almost a year to the date when the beloved Mt. 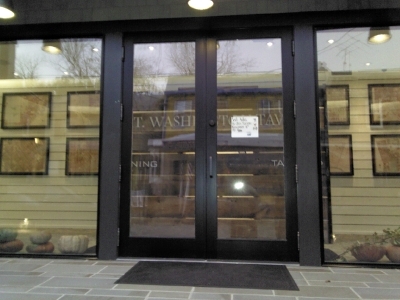 Washington Tavern caught fire it has been rebuilt and the doors officially open Tuesday, November 6th at 5 p.m. The tavern was built almost from the ground up from the fire and with the rebuild came raising the building more off the ground, a precaution for a neighborhood that has frequently seen floods. Tonight with friends and family coming in to test the staffing, the kitchen and get the first had glance of all the changes had the Tavern booked solid with about 200 guests.